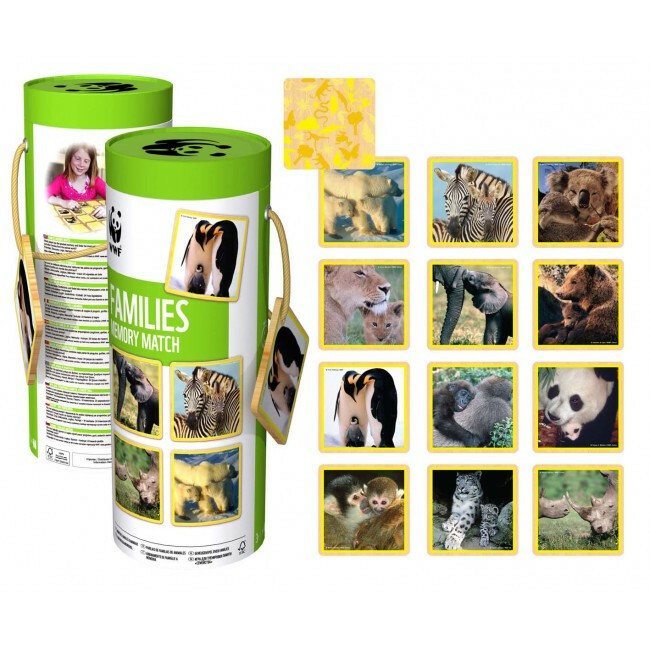 This colourful matching game is brought to life through 12 beloved wild creatures from around the world. 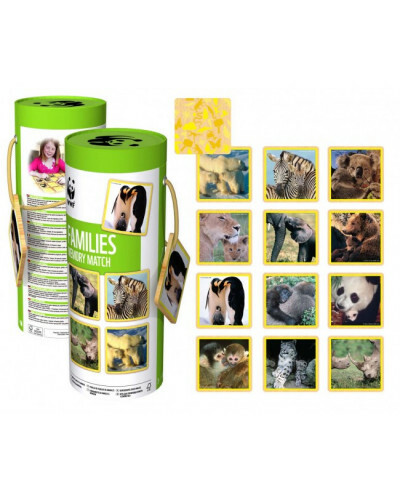 See who has the greatest memory as you match up 24 FSC wooden large picture tiles (88 x 88 mm) and an attractive tube storage case with rope handle for easy transport. WWF games are designed to enrich your playing experience by introducing endangered species and conservation themes into all time favourite classic games! Memo also promotes natural learning and the development of critical thinking, problem solving, and strategy development skills. Learn about endangered animals and how WWF works to protect them!